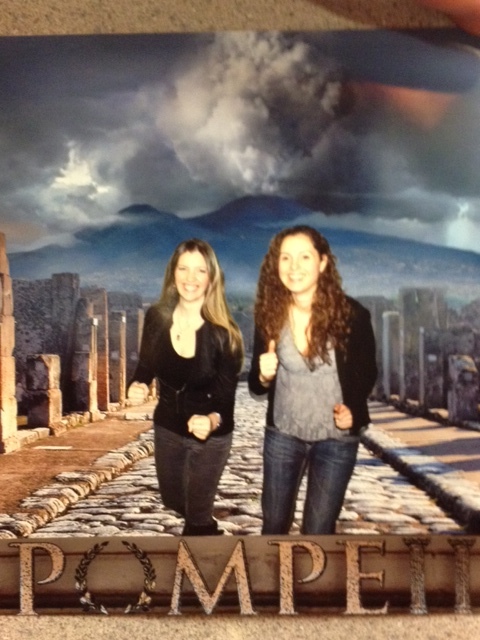 I recently took in the Pompeii exhibit at the Pacific Science Center. Pompeii was a Roman town near Naples in Italy. Most of the town was destroyed by the eruption of Mount Vesuvius in 79 AD. When this town was discovered buried in ash, many artifacts were found and have been preserved. There were quite a few of them showcased at this exhibit. Among them were paintings, furniture, statues, jewelry, cooking utensils and many more. I was amazed at how well these artifacts were preserved. Some jewelry were designed with snakes and crescent moon shaped pendents, influenced by the Greeks. 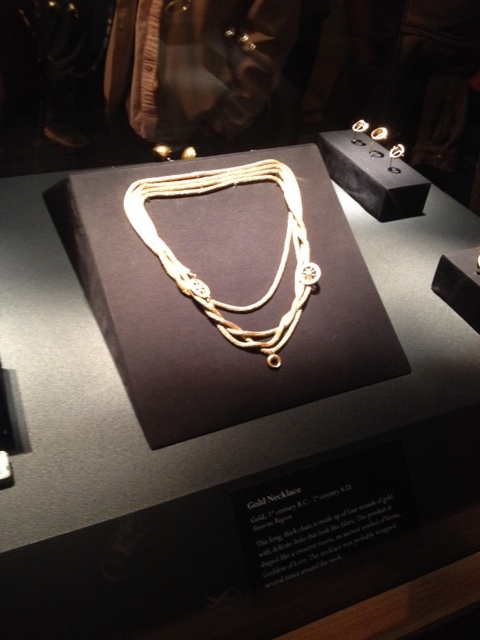 Wealthy Romans were often times seen wearing a necklace like the one below. Gladiators fought to the death as a form of free entertainment. 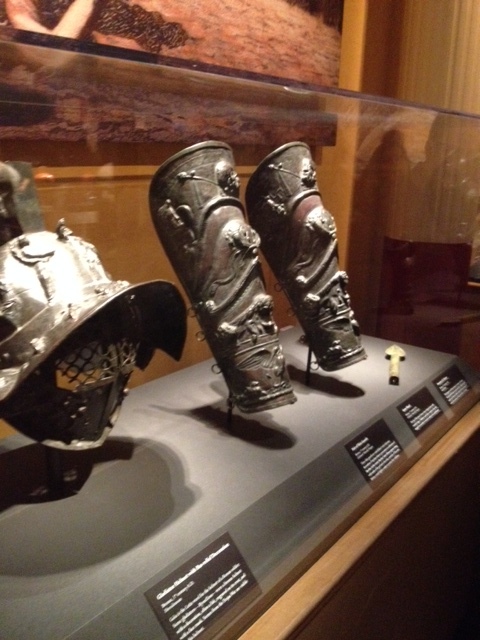 They wore protective armor which included helmets and shin guards (shown below). After viewing most of the artifacts, we were led into a small theater where we viewed a recreation of the eruption and how it destroyed the town in minutes. 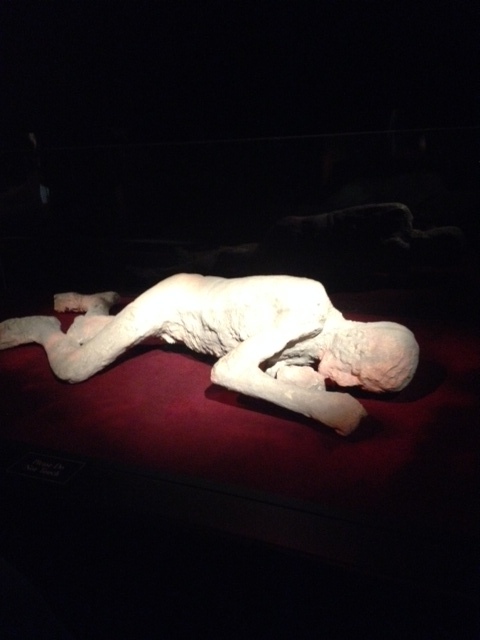 They even had fake smoke .Molding was made from the shapes of the deceased whose decomposed bodies were found in ash. Several of these were on display. The Romans like to throw parties and had many of their art and items of high value in view for everyone to see. They liked to display their wealth as a show of status within their community. 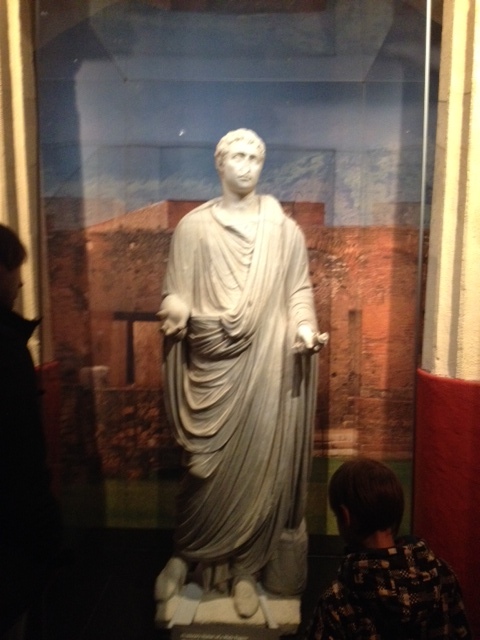 The exhibit gave you a glimpse into the lives of Roman life. I came out of this exhibit with a fresh understanding of their culture and lifestyle.This will be the last time this exhibit will be shown in the U.S so check it out before it ends in May. The exhibit was produced by Premier Exhibitions Inc and the local sponsors are 4 Culture, Boeing and Visit Seattle. Wow! Looks like an amazing exhibit. I read that that particular volcano is considered still one of the most dangerous volcanoes in the world Must have been something in the ash that preserved things for almost 2,000 years? Thanks for sharing your experience. Great fact! Thanks for reading.